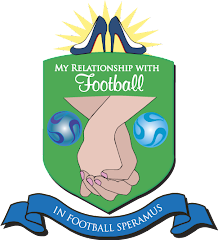 My Relationship With Football: Ferosh Item: Alternate Universe... or Utopia? Want the ability to splash some awesome cash like a footballer without exerting the effort playing those pesky football matches? Wish you could score some awesome free gear or snag that gorgeous bird in the club with your footballing posse? Although it may not be physically possible for most of us, that's why they creates Football Superstars! It's a virtual reality game where you can play games, earn cash, and then spend it at your favorite pub, restaurant, or designer shop. No worries ladies, you are well represented. Pretty avatars and everything. I wonder if we can pull our own HABs (Husbands and Boyfriends) and blow all our cash on Louboutins? It's not available yet to play, except in beta stages, but you can register now and they'll keep you updated on a release date.